If you’re looking for your next Netflix obsession, look no further! 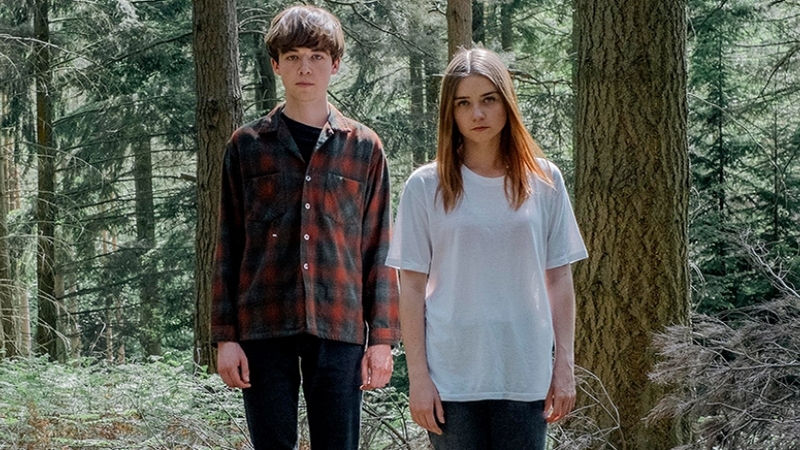 Netflix’s The End of the F***ing World trailer is here, and it looks pretty ideal. Although the series already premiered in the UK, its US release comes through Netflix, and we’re so ready to binge it the moment it drops. It’s based on the popular graphic novel of the same name, and it looks like a pretty f***ing unique high school love story (or, like, whatever the opposite of that is). The trailer looks totally delightful. We also feel like this is a low key weirdly relatable story, because it just feels right that Alyssa, though she clearly has her own issues, is just trying to date a guy she thinks seems interesting, and…well, he’s trying to murder her. This is clearly not your average teen drama, but it just might be the feel-good story you need right now. …maybe. We date you not to be totally charmed by this off beat black comedy. The series will be released on Netflix on January 5th. So clear your schedules and your couches, because your post-holiday decompression binge watch is almost here.